This article was first published in the October 2014 issue of Energy World. The much-vaunted renaissance of the British nuclear industry increasingly looks less a rebirth than an unsatisfactory assortment of stalling, disjointed projects. One by one, the UK’s established, privately-owned electricity utilities have abandoned the nuclear new build programme, to be replaced by state-owned utilities with state-level, bilateral agreements. It is now six years since EDF Energy announced its intention to develop the project, but, at the time of writing, it and the Department of Energy & Climate Change (DECC) are still awaiting State Aid clearance from the European Commission for a 35-year feed-in tariff with contract for difference (CfD) for the twin 1600MWe reactor project in Somerset. Even if the Commission approves the plans, there is still work to be done before EDF’s subsidiary NNB Generation can make a final investment decision to start construction of what would be Britain’s first nuclear power plant since Sizewell B in Suffolk was commissioned in 1995. Much of this hinges on the level of investment from Chinese nuclear utilities China General Nuclear Power Corporation (CGNPC) and China National Nuclear Corporation (CNNC). 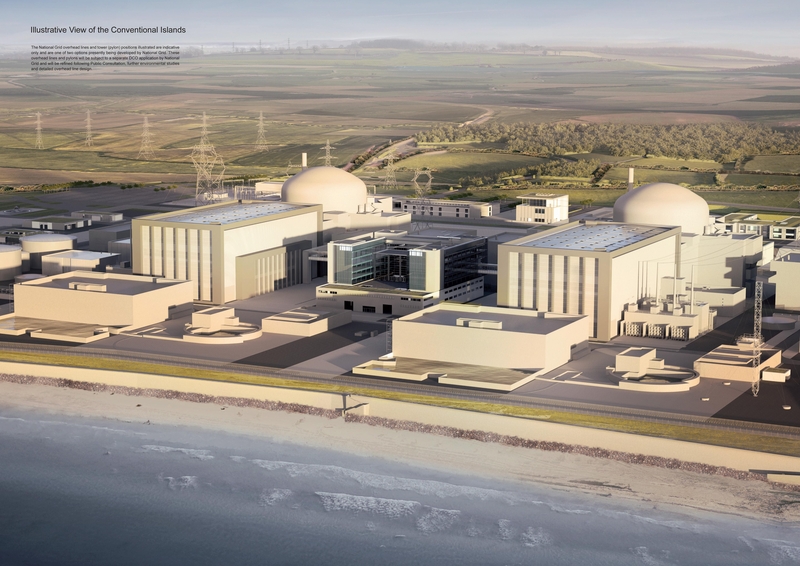 Last October, EDF and the Government agreed key commercial terms for the £16 billion Hinkley Point C project, including the index-linked ‘strike price’ for the CfD – £92.50/MWh, or £89.50/MWh if EDF gives the go-ahead to two further EPRs at Sizewell C – a £10 billion loan guarantee from HM Treasury; and broad terms for a funded decommissioning programme. Also agreed was Chinese investment participation in Hinkley Point C. DECC stated CNNC and CGNPC would take up to a combined 40 per cent of the equity; EDF 45-50 per cent, French reactor vendor Areva 10 per cent, and noted discussions were ongoing with interested parties who could take up the remaining 10-15 per cent. However, industry participants are not quite as sure as DECC that the two Chinese state nuclear firms will want to take the full 40 per cent combined stake, which could place Hinkley Point C into doubt, at least in the short term. In many respects, China has already got what it really wants, which is an agreement to have a controlling interest in UK nuclear plants in order to export its own reactor technology. In June, David Cameron signed an agreement with Chinese premier Li Keqiang that paved the way to build such a plant, possibly at Bradwell in Essex. Steve Kidd, former Deputy Director-General of the World Nuclear Association and now independent nuclear consultant at East Cliff Consulting, is a frequent visitor to China and believes CNNC and CGNPC have a problem with the amount of money they would need to invest to hold a collective 40 per cent stake in the project. “Both Chinese companies are concerned by the extremely high cost of Hinkley Point C,” he says. Kidd also notes tensions between CNNC and CGNPC and a rather messy political situation in the China nuclear industry. So will China pull out of Hinkley Point C now it has achieved its aim? “I think it would be bad form if they pulled out. They have to invest something, but there wouldn’t be much egg on face if it eventually turned out to be only 20 per cent and they found some other financing.” If China doesn’t invest 40 per cent then who will fill the gap? A consortium of City investors is possible, but it would need strict assurance the project will be built on time and it would get its money back, for which EDF’s commercial arrangements with Government offer little explicit protection. Again, more work to be done. EDF itself does not have a bottomless pit of cash at its disposal to invest in new nuclear plants. France’s nuclear power plants commissioned in the 1970s and early 1980s are approaching the end of their 40-year design life. A report published by the French government in June stated EDF would need to invest 110 billion euros from 2011 to 2033 to prolong reactors beyond 40 years, while a recent state audit revealed EDF’s nuclear power costs rose to 59.8 euro/MWh in 2013, up 21 per cent from 49.6 euro/MWh in 2011. Hinkley Point C is currently due online in 2023, but with the ongoing negotiations this timetable may slip yet further. The plant was originally due to be commissioned by the end of 2017, famously allowing EDF Energy chief executive Vincent de Rivaz to roast his Christmas turkey with electricity from the plant. In late 2012, EDF delayed ‘first concrete pour’ to mid-2015 in order to finalize design of construction plans. A completion date of 2023 could mean, in theory at least, construction could start as late as 2018. 2023 is an important year for EDF, as eight of its 14 Advanced Gas-cooled Reactors (AGR) – two each at Heysham II, Hinkley Point B, Hunterston B and Torness, are scheduled to be shut down, equivalent to 4.2 GW. With Heysham I due to close in 2019, this will leave just Hartlepool (shutdown due 2024) and Dungeness B (2028) of the AGR fleet online. Britain’s sole remaining Magnox plant, Wylfa, will close in December 2015, while Britain’s only pressurised water reactor – Sizewell B – will remain open until 2035 at the very earliest. So there will be a great deal of egg on the faces of policymakers at 3 Whitehall Place if Hinkley Point C fails to come off. Even if the plans do fall through, there are two further ongoing nuclear projects in the UK: the NuGen consortium’s Moorside project at Sellafield in Cumbria, and Horizon Nuclear Power’s Wylfa B project in Anglesey, both of which have heavy involvement from Japanese reactor vendors. Having initially been a consortium comprised of two of Britain’s Big Six energy utilities – Scottish Power and SSE – plus French utility GDF Suez, NuGen is now majority-owned by Toshiba-Westinghouse, which acquired Scottish Power parent company Iberdrola’s 50 per cent stake and 10 per cent of GDF Suez’s interest in January 2014 for a combined cost of £100 million. SSE gave up its stake in January 2011. NuGen hopes to build three 1.2 GWe Toshiba-Westinghouse AP1000 reactors at the Moorside site in Sellafield, Cumbria. Toshiba-Westinghouse expects to complete the Office for Nuclear Regulation’s (ONR) Generic Design Assessment (GDA) in 2017, although the assessment has been on hold since 2011. The first reactor is targeted to come online in 2024 – with full commercial operation of the 3.6 GWe targeted to be delivered by 2026. However, NuGen is unlikely to commit resources to the project until the Hinkley Point C situation is finalised. The other British new nuclear consortium is Horizon Nuclear Power. Two other Big Six firms, RWE npower and E.ON UK sold their venture in October 2012 to another Japanese reactor vendor, Hitachi, for £696 million. The departure of E.ON and RWE left EDF and British Gas owner Centrica as the only Big Six utilities pursuing nuclear new build in the UK, until Centrica gave up its 20 per cent stake in NNB Generation in February 2013. 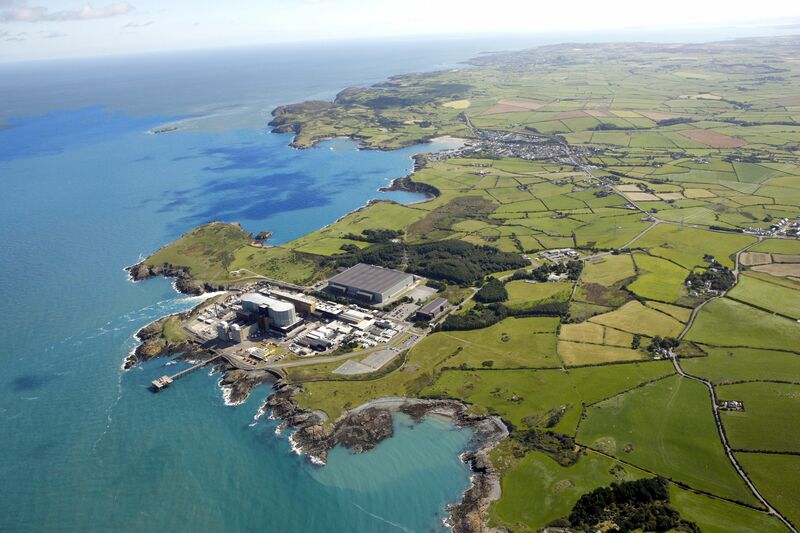 Hitachi wants to build its Advanced Boiling Water Reactor (ABWR) adjacent to the soon-to-be-decommissioned Wylfa Magnox plant on the Welsh island of Anglesey. The purchase of Horizion Nuclear Power also gives it the option to build on land acquired near the decommissioned Oldbury plant in Gloucestershire. The GDA for the ABWR began in September after the ONR, which is aiming to complete the assessment in December 2017, finished its initial appraisal in August. Horizon says first power from Wylfa Newydd will be “within first half of the 2020s” and Oldbury B potentially in the late 2020s, but as with NuGen, further progress could depend on a positive outcome from Hinkley Point C.
Meanwhile, a memorandum of understanding signed in September 2013 between DECC and the Russian state nuclear corporation, Rosatom, agreed a programme of co-operation allowing it “to prepare for entry into the United Kingdom civil nuclear market”. However, recent geopolitical events mean the prospect of Russian VVER reactors being built in the UK is even more remote. Does the future lay in China? Then there is the prospect of Chinese-built nuclear reactors, most likely at the site of the decommissioned Magnox plant in Bradwell in Essex. State Nuclear Power Technology Corporation’s larger version of Westinghouse’s AP1000, the CAP1400 (1,400 MW), is expected to the mainstay of not only China’s domestic fleet in the coming years, but also its hoped-for nuclear exports, says Steve Kidd. “In theory, China can build the CAP1400 anywhere without the inclusion of Westinghouse in a project and pay no royalties,” he says. “The very first CAP1400 unit in China will commence construction this year and it will take at least five years to complete, so it won’t be in a position to offer the CAP1400 as an export model until the end of the decade.” In August it emerged preliminary talks had begun between the Chinese and Britain’s National Nuclear Laboratory about submitting reactor designs for approval by the ONR, which would take to three to four years. EDF Energy is also in discussions with Beijing about buying one of its UK nuclear development sites, believed to be Bradwell. “In terms of timescale, it would not be until the late-2020s before the Chinese could have an operating reactor in the UK but they are long-term in their nuclear vision,” says Kidd. Johann Lindner, director of European business development at US nuclear consultancy Excel Services Corporation, believes China holds the key to the UK’s nuclear future. Posted in NuclearTagged AP1000, China, EDF, Hinkley Point C, nuclear, WylfaBookmark the permalink. Since this article was first published, the European Commission has approved a number of State Aid aspects of Hinkley C, including the contracts for difference. The Commission requires some changes to the proposed arrangements and it has subsequently been reported that its Decision may be formally challenged through the European Court. State Aid aspects of the Waste Transfer arrangements are subject to a separate EC inquiry, which is ongoing. Several negotiations are continuing between EDF and UK government parties, and these will need to be completed before the Sec. of State can give approval and begore a final investment decision can be made.